Thank you to all who were able to make it to The Estate for a successful one-day popup event with Salesforce. It was full day packed with local entrepreneurs, Salesforce experts, small businesses partners, and our extra special guest Dan Reeves. 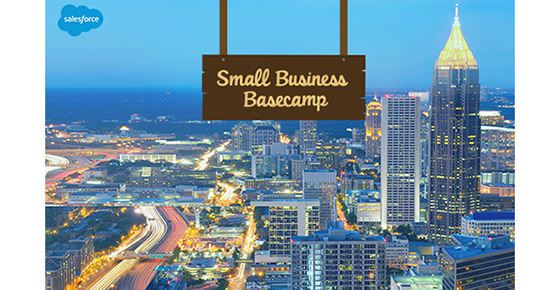 Just because the Atlanta Small Business Basecamp is over doesn’t mean the fun has to end. We’re here to help you harness that energy and momentum… Check out this awesome small business growth kit with 3 steps to growing your business.